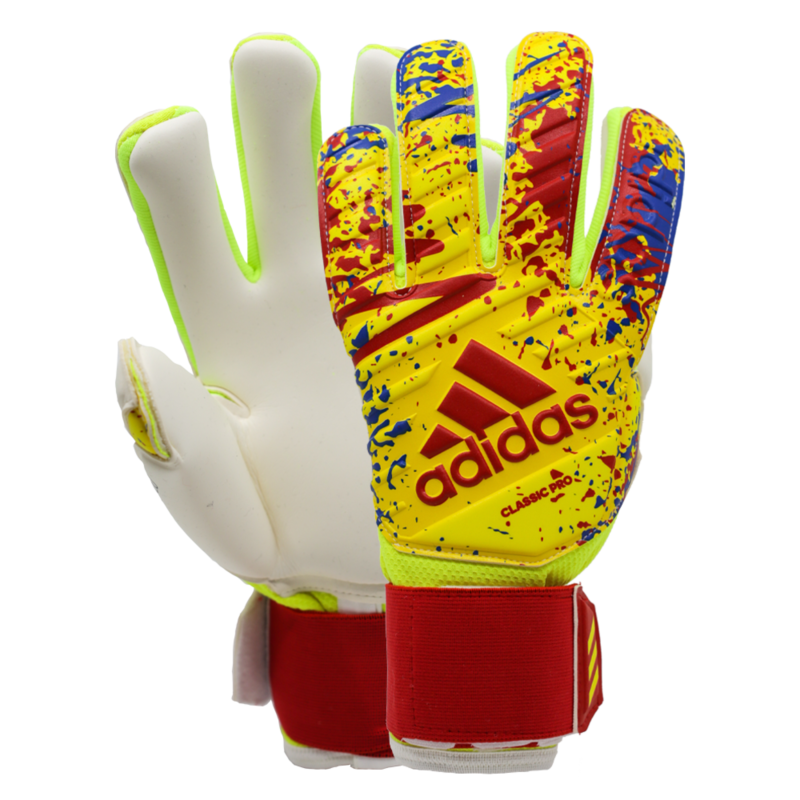 One of the best selling adidas pro goalkeeper gloves for advanced keepers. 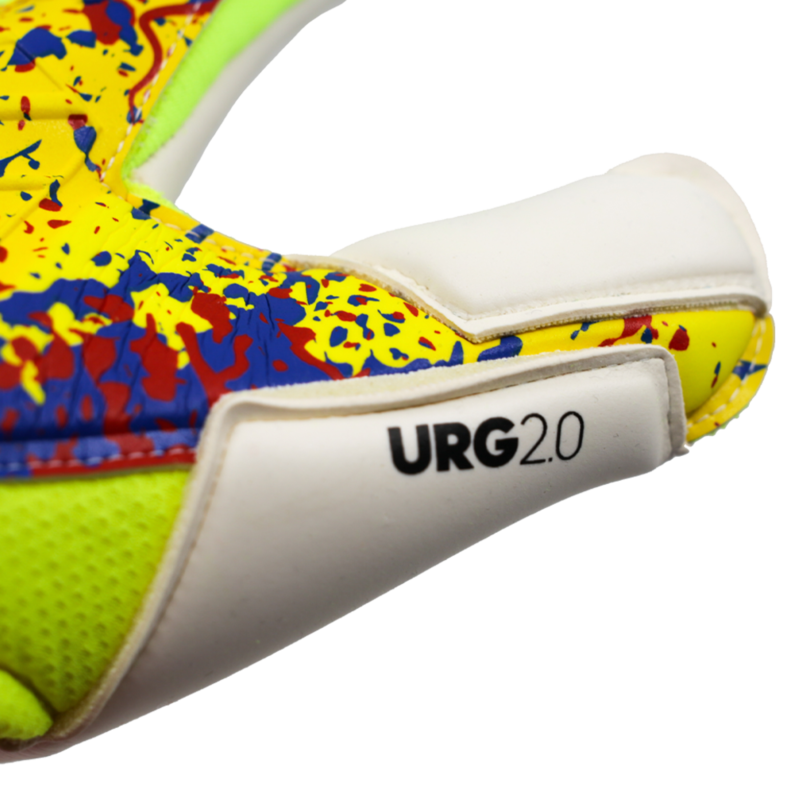 Exceptional grip from the URG 2.0 latex with good durability at the game level too. 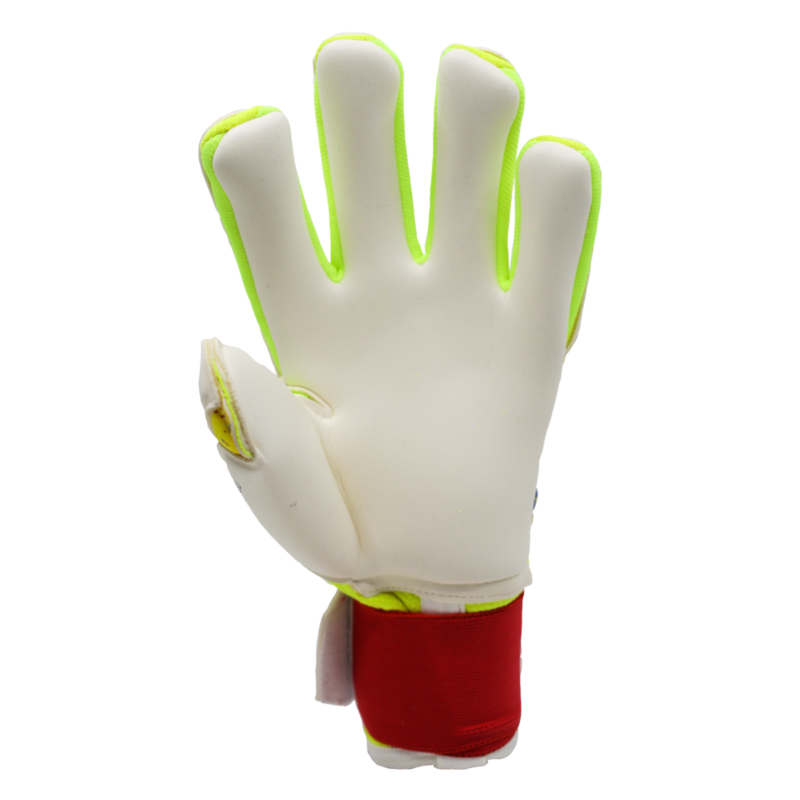 The negative cut provides a sure feel and the double wrap wrist strap provides excellent support through the backhand. The Adidas Classic Pro has 3.5 mm URG 2.0 (Unrivaled Grip) all weather soft latex for a balance of good grip and cushioning at a sale price. 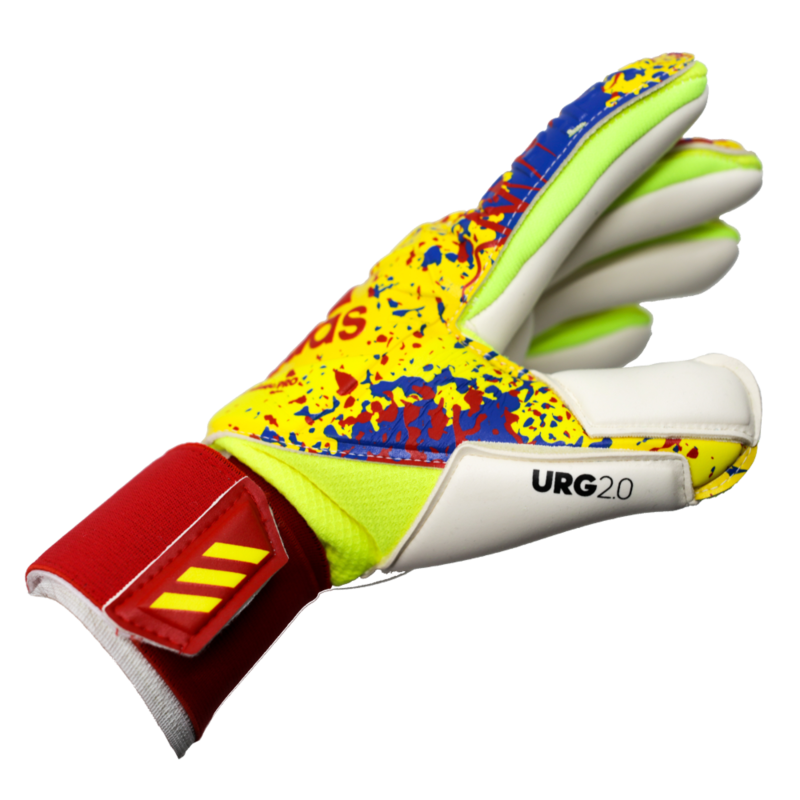 Could be a game glove for a GK on a budget or practice glove for a more advanced keeper depending on the level of the goalkeeper. Latex wrap over thumb. Dampen prior to use to increase grip and durability. The backhand is an amazing color splash combination of yellows, reds, blues. Sure to standout. The backhand material is an embossed latex. 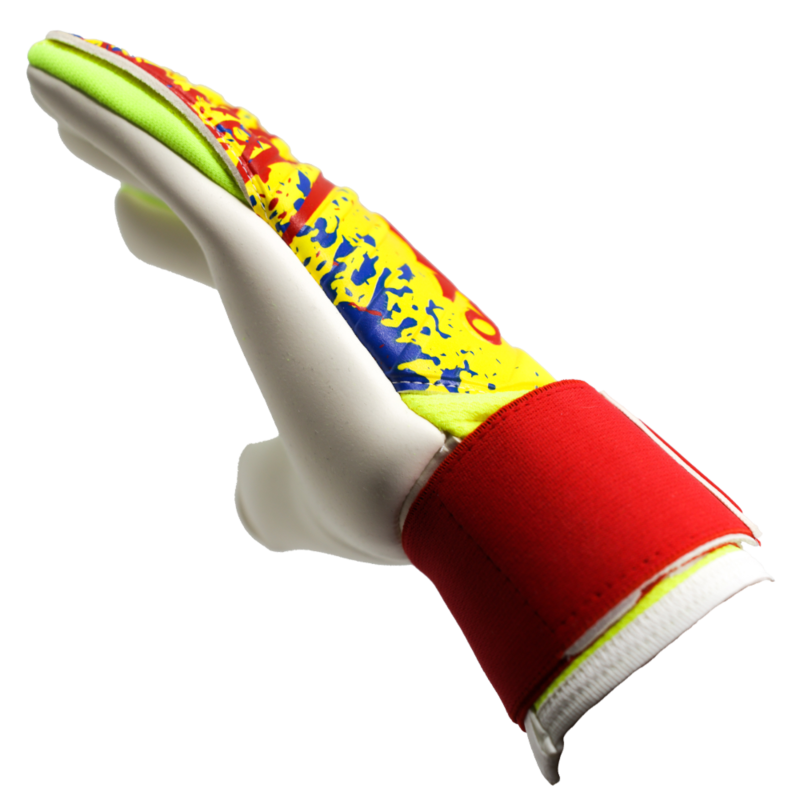 The one piece glove body is made of breathable mesh for comfort and lightness. 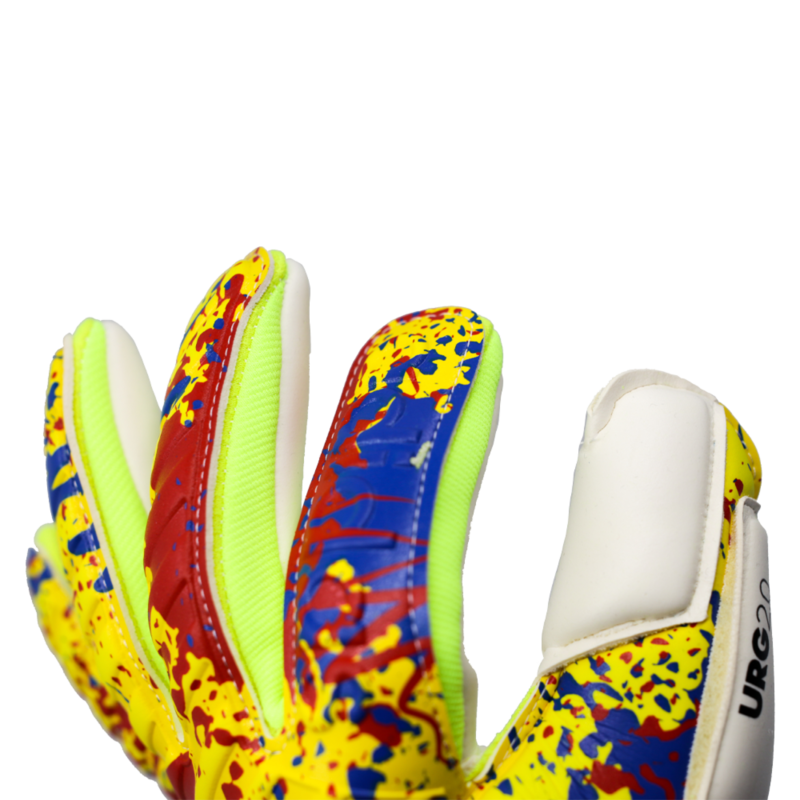 Custom fitting tight negative cut for male and female goalkeepers alike. Bright yellow textile gussets to bring the extra material in and provide the form fitting feel on the side of the fingers. Wraps nicely around the outside of the palm, to reduce extra material. 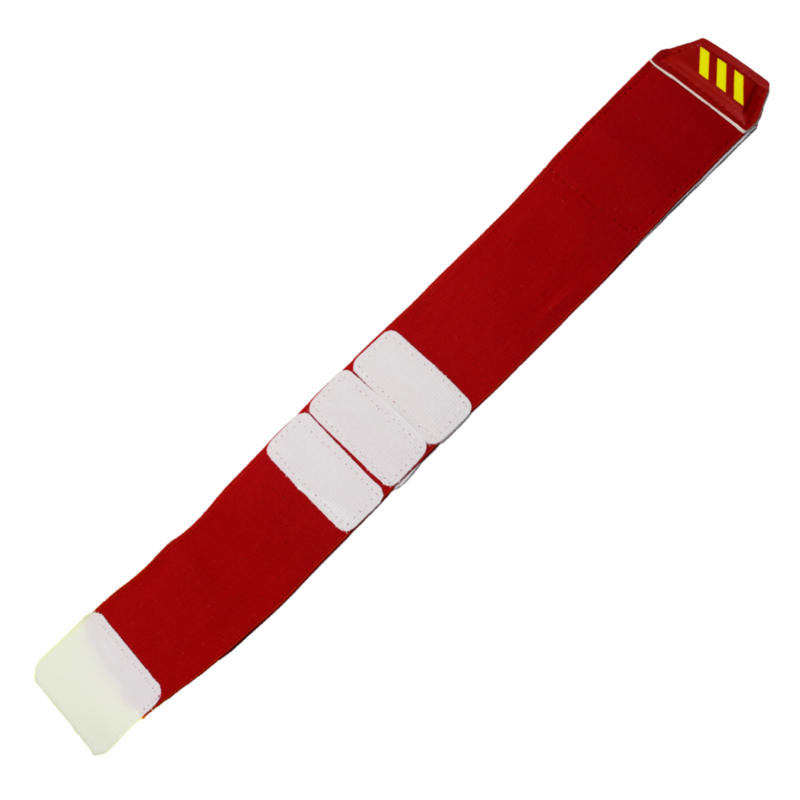 Vibrant red double wrap elasticated wrist bandage for a custom fit. Adidas goalkeeping describes the closure as CLOSE-FITTING BANDAGE without restrictive seams, a revolutionary bandage which perfectly fits most peoples ‘wrists. Take care getting the glove on and off. Popular option because of the price. 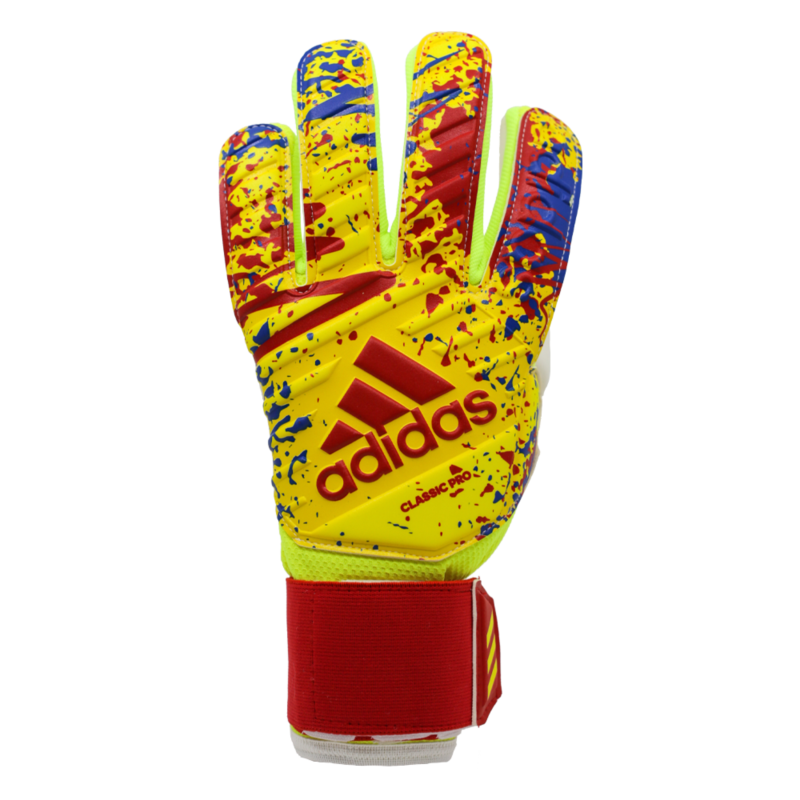 An adidas goalie glove with good performance, grip, at a more affordable sale price of 72.00. Great choice for a high school aged male or female goalkeeper for games or practice. Mid level game for a more advanced college goalkeeper or an exceptional less expensive practice glove if using the Adidas Predator Pro or Manuel Neuer as the game glove. The URG 2.0 latex is exceptional in all weather conditions. Be sure to dampen the latex before use.